Trooper David Cunniff succumbed to injuries sustained the previous night when his patrol car was struck from behind by a tractor trailer at approximately 8:25 pm. He had made a traffic stop of the speeding vehicle on the New York State Thruway, at Exit 27, and was stopped on the shoulder when the semi hit him cruiser from behind. The impact caused him to become partially ejected. He was transported to a local hospital with massive injuries but succumbed to those injuries the following day. On February 3rd, 2015, the driver of the tractor trailer was charged with aggravated criminally negligent homicide, aggravated manslaughter, criminally negligent homicide, and several traffic violations. 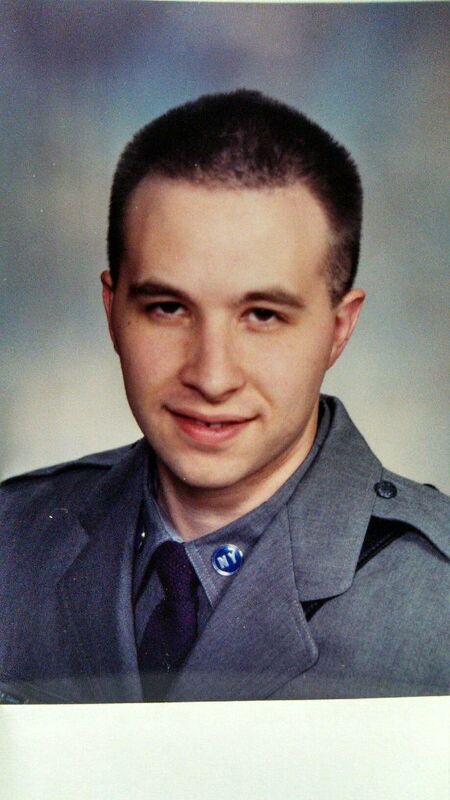 Trooper Cunniff had served with the New York State Police for nine years and was assigned to Troop T. He is survived by his wife and two young sons.